Microsoft retired XP April 8, 2014. Now, 8 months later, it’s time for VMware Horizon to accept that loss and plan a memorial. 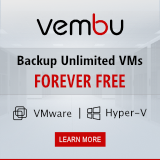 With Microsoft dropping support, it is time for VMware to align with Microsoft’s decision. Therefor VMware announced End of Support for some old OS-es in VMware Horizon. As Windows XP will not be support, there will be no drivers for new hardware, libraries that our products use will be incompatible and XP will not get the benefits of regular security fixes. For all these reasons, VMware is clearly outlining the support plan for Horizon to give our customers time to plan a transition. Few Horizon customers are using Vista and with Microsoft’s end of support looming, it makes sense to create a policy for both operating systems. Retiring Windows XP, Windows Vista and the older Mac OS X versions, 10.6 and 10.7, will enable the Horizon team to better support upcoming OS updates as well as put more energy into creating features that make our products even better. On December 9, 2014, VMware released VMware Horizon 6.0.2, with updates to the clients and agent. The VMware Horizon Client 3.2 runs on XP and Vista client hardware; the Horizon agent 6.0.2 runs on XP and Vista virtual desktops. These are the last client and agents that will run on XP and Vista. VMware will fully support the 6.0.2 agent and 3.2 client on XP and Vista until the end of 2015, including with any broker updates over the next year. In other words, we will support the 6.0.2 agent on XP and Vista with newer connection servers and agents; and the 3.2 client with updates to the agents and connection servers. However, we will not be adding any new features for XP or Vista. Similarly, the Horizon Client for Mac client version 3.2 is the last version that will support Mac OS X 10.6 and 10.7. We will support version 3.2 on these OS versions for the next six months, meaning it will be compatible with updates to the Horizon Connection Server and Horizon Agent released before July 2015. So what should you do if your company uses Windows XP? You have a year to plan a transition to a newer OS. If at the end of the year, you haven’t been able to move everything in your environment, you may not want to update VMware Horizon since mixed environments won’t be supported. If you find new XP bugs in 2016, VMware will not provide fixes. Depending on customer requests, VMware will consider providing extended Windows XP support for a fee into 2016. 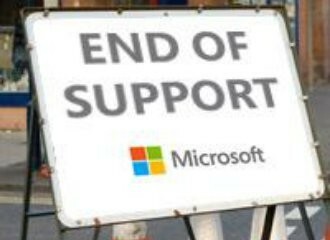 This will require that customers also be signed up for Microsoft extended support. It may be painful to make the transition to newer operating systems. But if you keep a corpse around too long, it starts to smell. Are you considering retiring your old OSes? 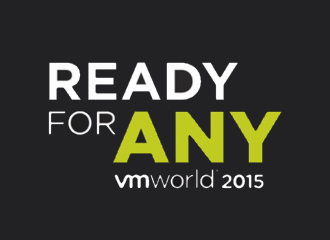 We’d love to hear more about it in our VMware Horizon Community.